If you don't know the drill, use comments to propose day/time; once that's settled (or even before if you're flexible), add your name to the list for the game. Update: It looks like we will be meeting in the Developers Room! 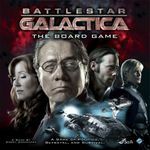 See map here: http://boardgamegeek.com/image/1826179/captainqwyx? We will break for lunch at 12:30 and play it by ear for Dinner (if required). Check out this thread for more info! Quick Summary: 10-12 hours of epic classical goodness. This will be the game you remember! Up to 18 can join. I only get to play this once a year, but it's always been fun. I don't have my copy of this yet, but will be picking it up at the Virtual Flea Market meetup on Thursday. I'll also be getting all the expansions, so we can use whichever ones we feel like. Date/Time: Saturday at 2:00pm. Lady Bird Room. Edit: Added BlueFlames for Friday, moved Mike L to Saturday, moved Jim to standby for Saturday. Dana, we'll need Tom to save the people. We even have Tom 2.0 with the Daybreak expansion. Uh! It's this darn dice tower! Game 1 update: I got my hands on the Pegasus expansion. So we'll be playing Base + Pegasus. I will be just outside the library at 5:45pm with game in hand. Meet outside the library. There will be someone capable of teaching at this meet, right? A spot opened for game 2! One seat left! Fri 9AM. Preference for experienced players. Want to play older version of Civilization? Putting together a group to play on Thursday at 10:00 am. Have some possible players already, but would like to have one or two more. If we have too many I will just setup and teach. 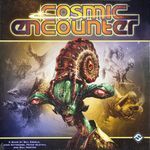 and let's toss everything and the kitchen sink into this one, Cosmic Quakes, Hazards, Space Stations, and if we get 8 players... Teams! Ok, I was nuts. Let's just have a nice game & decide what expansions we want to play with at that time. 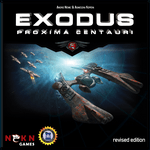 Newb-friendly game, no expansions, shooting for 5 players. I'm fairly new to the game, but the rules are really straightforward, and new players should pick up the game very quickly. Bryan is an experienced player ready to help out. 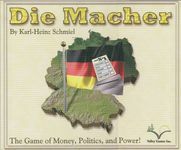 Tried to play this TWICE last BGG.con only to have new players drop out in frustration, ending the game. sigh. So I'm going to ask 'veterans only' who know what an epic experience they're getting into. Time to start thinking about the annual DOA game. This year, we'll be playing DOA 2. DOA II is in the library, but I do appreciate Kris & Chris brining their copies. Thanks! Matt, we missed this last year. Let's get a game in this year. Game 1 - Saturday, 1pm. Meet outside the library. Whoever has a copy secured can wait there for everyone to show up (prominently displaying the box so we'll know who they are). In the interest of time, we will begin at 1:15pm with whoever has shown up by then, so please try to be on time if you want to play! I know this is last minute, but I didn't know if anyone had any interest in playing this. It would be a learning game for me, with a little bit playing solo. Location: Some table in Enterprise ballroom the section that opens Wednesday night. 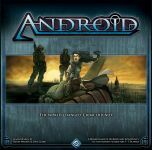 HOW 2001. bggcon library has this, I just bought my 2001 copy and dont want to bring it on the flight with me if I can help it! Looks like we have a full table. 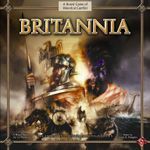 I would like to get in a couple of Knizia's games on Wednesday morning. Instead of sitting in line waiting to register, I'd like to get some gaming in. Last year I got in a game of Washington's War at 9am on Wednesday, finishing up as the registration line dwindled--I may not have gotten first choice of door prizes, but gaming is more fun than standing in line. 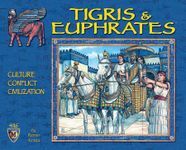 Games: Tigris & Euphrates seems a must. Otherwise I'm open to suggestions. I have most of his better games and can mule. Time: Wednesday morning starting at 9am. Place: We'll have to figure out what is available. One of the quiet gaming rooms worked last year. Something like that would probably work this year. Look! He try to throw loyal fans a curve! Game 1 for returning comrades of the glorious revolution! The reprint for this is on the horizon. Last year had a lot of interest, and also an absolutely especially fun game that I think should be repeated. So I'm opening this up for two games, one for the six we had last year (if you confirm you want in I'll bold your names) and one to teach the curious who want to learn it. Edited to set times. My schedule is starting to firm up and I'm not seeing much response on the rest. Let's plan on the Johnsson as our initial location for both games. We can move if we don't find a table there, but I think that's where we played last year. Looking for someone who would like to play/teach/mule. I've never played, but would like to give a mission or two a try. 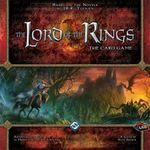 Who would be interested in some LOTR at BGG Con? I have all the releases so far and Have 4 decks designed if we want to do it that way. I am thinking Saturday after the flea market? I am open to format suggestions for sure. Maybe not so epic, newbie game. I've only played a few times, but I could get us through the intro scenario. Attention everyone: We are now meeting in the Maverick Room. 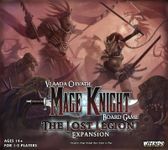 (See the Mage Knight Geeklist below this one) Nothing has changed, except that we have a lot more players and games scheduled.. Shouldn't there be a board, or pieces or something to Jenga? Great news... We have the Maverick!. A thank you to our generous hosts for providing the space and having confidence that we are likely to exceed the minimum number of players to reserve the space. The closing ceremonies preceding this event may have several gamers wandering-in, so let's do our best to make sure everyone can play. If you have a copy of the game, bring it. If you can teach, do it. If you are in a game that need players or a teach, don't worry. I'll help your table make. ATM Chris and Linda, I may teach (if I can manage to play earlier in the con). Duke, people will inevitably be late (or finish the intro scenario early), so I'm confident that we'll be able to get a 10pm table going. I am no longer monitoring this posting. If you are already signed-up, great. I'll help you find your people so you can get going. If your table didn't make, or you found this post after 8pm Sunday, no worries. Show up anyway, and I'll see what I can do. If you can teach or you have a copy of the game, even-better! I'll wear my silly superman cape and stand on a chair so that everyone can see me. 3. Donny Behne (bringing his copy & teaching) -Thank you! 3. Trevin Beattie (teaching, bringing his copy + both expansions) -Thanks! 1. 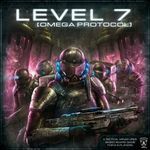 Joseph Cochran (bringing his copy + both expansions) (preference for co-op Volkare scenario) (backup teacher for newbie game) -Thank you! 1. Linda Baldwin (bringing her copy) -Thank you! 1. Byert (bringing his copy + expansion) (preference for PVP game) -Thank you! 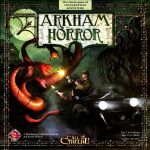 I’ll be bringing my own copy of the game, and would like to try out a few variants in a cooperative scenario. Let’s start about noon (right after lunch) on Thursday, as I’ve had games go over 4 hours, and meet at table V5 in the back right area of the Enterprise ballroom.